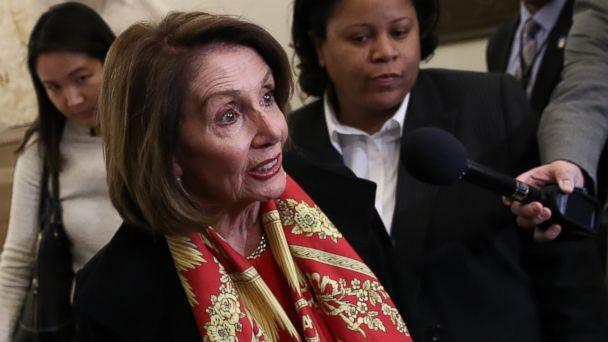 The back and forth between House Speaker Nancy Pelosi and President Donald Trump over when and where the State of the Union will be delivered -- if at all -- came to a conclusion, if temporary, late Wednesday night. Trump will not give a speech until after the partial government shutdown is over. 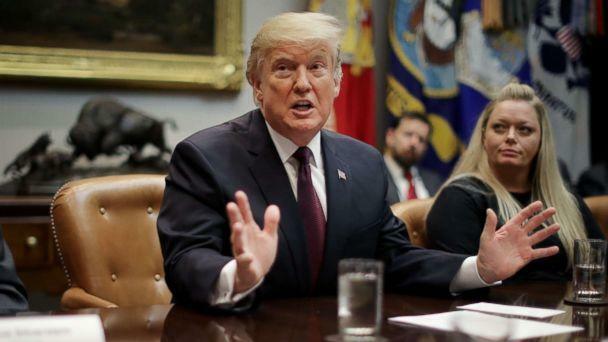 The president tweeted the news in a two-part missive just before midnight, saying, "As the Shutdown was going on, Nancy Pelosi asked me to give the State of the Union Address. I agreed. She then changed her mind because of the Shutdown, suggesting a later date. This is her prerogative - I will do the Address when the Shutdown is over." He ended speculation he might look to give the speech in a location other than the House of Representatives as well, saying he's not looking for another venue. In response, Pelosi took the opportunity to encourage the president to support a bill to fund the government while discussions over border security continue. "Mr. President, I hope by saying 'near future' you mean you will support the House-passed package to #EndTheShutdown that the Senate will vote on tomorrow," she said. "Please accept this proposal so we can re-open government, repay our federal workers and then negotiate our differences." The bill is mostly likely dead on arrival in the Republican-controlled Senate. In the latest twist in their political and seemingly personal feud earlier Wednesday, Pelosi sent a letter to Trump saying there would be no State of the Union address in the House chamber until after the partial government shutdown ends, effectively rescinding her invitation to the president. "When I extended an invitation on January 3rd for you to deliver the State of the Union address, it was on the mutually agreed upon date, January 29th. At that time, there was no thought that the government would still be shut down," her letter said. "I am writing to inform you that the House of Representatives will not consider a concurrent resolution authorizing the President’s State of the Union address in the House Chamber until government has opened," Pelosi, D-Calif., said. The resolution is necessary to authorize the president to address a joint session of Congress. "Again, I look forward to welcoming you to the House on a mutually agreeable date for this address when government has been opened," Pelosi's letter continued. At the White House, Trump told reporters he was "not surprised" by Pelosi's letter. "I’m not surprised. It’s really a shame what’s happening with the Democrats, they’ve become radicalized," Trump said when asked for reaction to Pelosi's letter during a photo-op in the Roosevelt Room. “Now Nancy Pelosi, or Nancy as I call her, she doesn’t want to hear the truth and she doesn't want to hear the American people to hear the truth," Trump said. "I think that’s a great blotch on the great country we all love, it's a great, great horrible mark. I don't believe it's ever happened before," Trump said. "It's always good to be part of history but this is a negative part of history. This is where people are afraid to open up and say what's going on." "If we can handle Iraq, we can handle the middle of Washington and the very spectacular building and a beautiful room that we should be in and that's where it's been for a long time," Trump said. Upon returning to the Capitol after an afternoon speech, Pelosi made clear that Trump is not welcome to address a joint session of Congress until the shutdown is over. "I still make the offer: let's work together on a mutually agreeable date, as the original date was, mutually agreeable, so we can welcome him properly to the Capitol," she said. Just a couple of hours earlier, Trump on Wednesday rejected Pelosi's earlier suggestion he delay his State of the Union speech until after the partial government shutdown ends, writing Pelosi to formally affirm he was sticking to plans to deliver the address on Jan. 29 in the House chamber. "I will be honoring your invitation, and fulfilling my Constitutional duty, to deliver important information to the people and Congress of the United States of America regarding the State of our Union," Trump wrote in a letter to Pelosi on Wednesday afternoon. 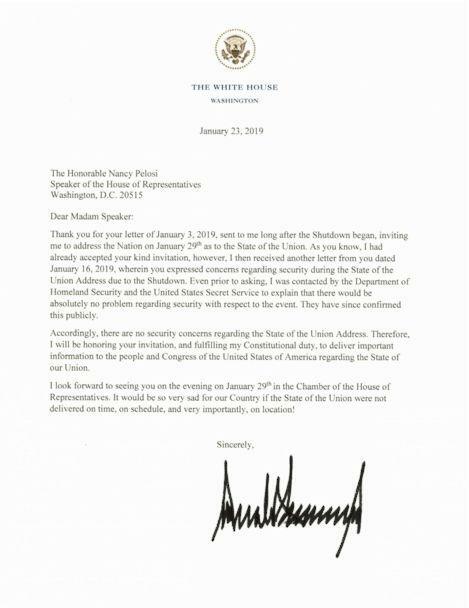 Trump closed the letter by hinting that the onus would be on Pelosi to cancel the invitation. "I look forward to seeing you on the evening on January 29th in the Chamber of the House of Representative. It would be so very sad for our Country if the State of the Union were not delivered on time, on schedule, and very importantly, on location!" Recognizing that Pelosi’s invitation was never officially taken off the table, Trump had seemingly called her bluff, resisting pressure to pull out and deliver the address from another venue elsewhere in Washington, such as at the White House or Senate chamber, or even, as one Republican member of Congress suggested, at the southern border. In his letter, Trump said DHS and the U.S. Secret Service told him "there would be absolutely no problem regarding security with respect to the event." 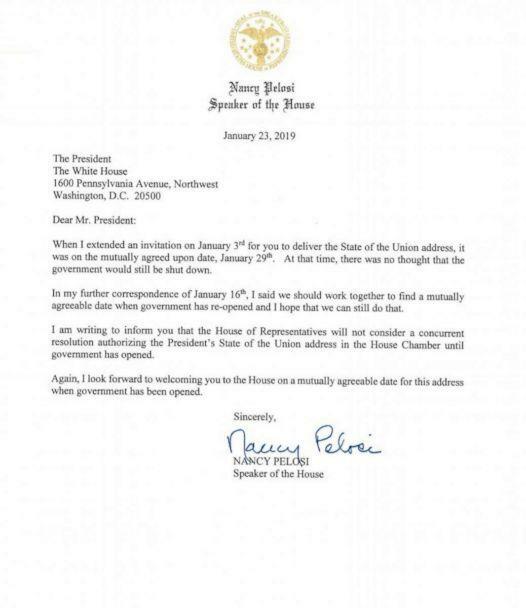 Despite the uncertainty prior to the letter, preparations were already moving forward to welcome Trump next Tuesday, as Pelosi has not explicitly disinvited him from an invitation to deliver the annual address from the House chamber. As a matter of congressional protocol, both the House and Senate must pass a concurrent resolution authorizing the president to deliver an address from the House chamber, though neither chamber has acted yet and no votes on such measures are planned this week. Hoyer, who is empowered with control over which measures are considered on the House floor, said a resolution could be considered as late as next Tuesday -- the same day Pelosi has invited Trump to deliver the address -- without impacting security or logistical planning. Rep. Mike McCaul, the top Republican on the House Foreign Affairs committee, signaled he hopes the president's efforts will generate a solution to the impasse. While the shutdown continued in its 33rd day, Hoyer says House Democrats are crafting a letter outlining “substantial” spending on border security to “articulate what we believe is effective.” He urged the president to end the shutdown, enabling lawmakers to negotiate a border security package and even comprehensive immigration reform without the president using 800,000 federal employees as leverage. ABC News' Meridith McGraw, Jordyn Phelps and Sarah Kolinovsky contributed to this report.